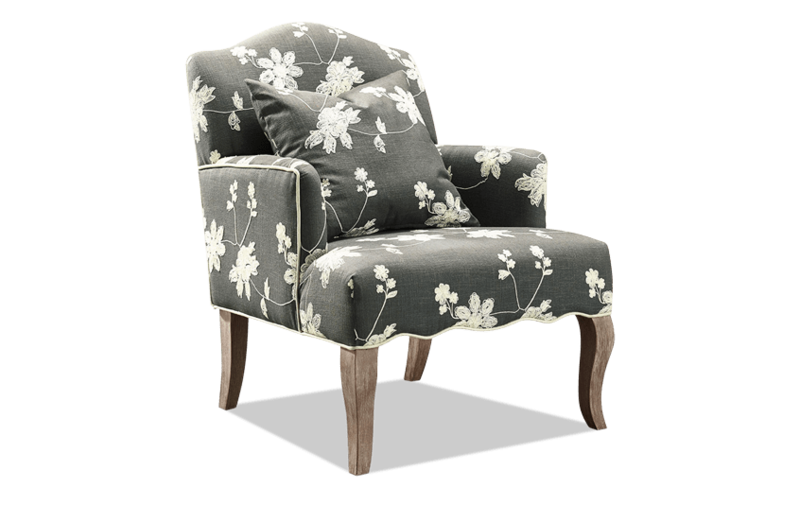 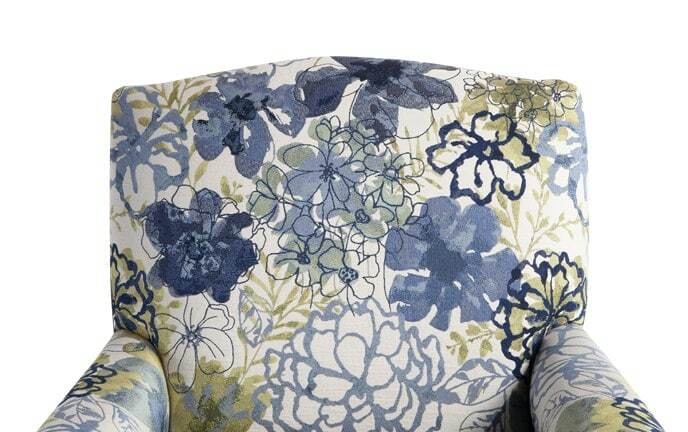 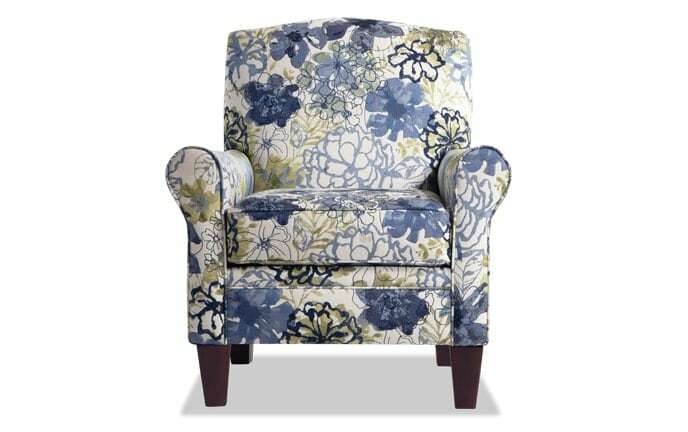 My Floral Arm Chair is a delicate and sweet addition to your space. 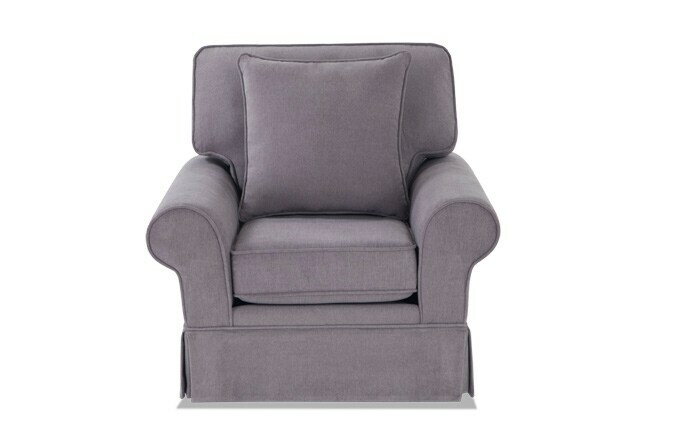 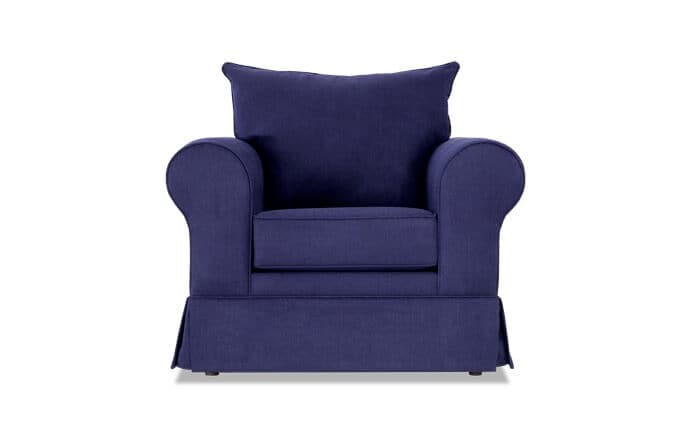 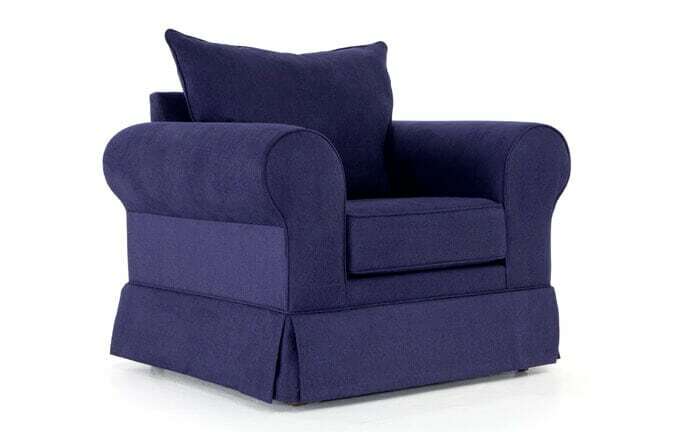 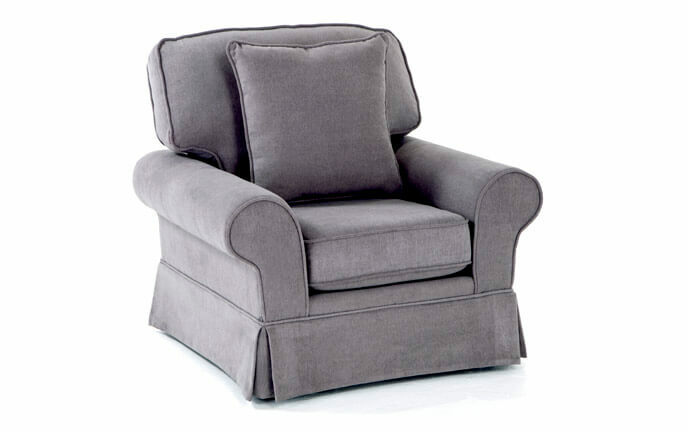 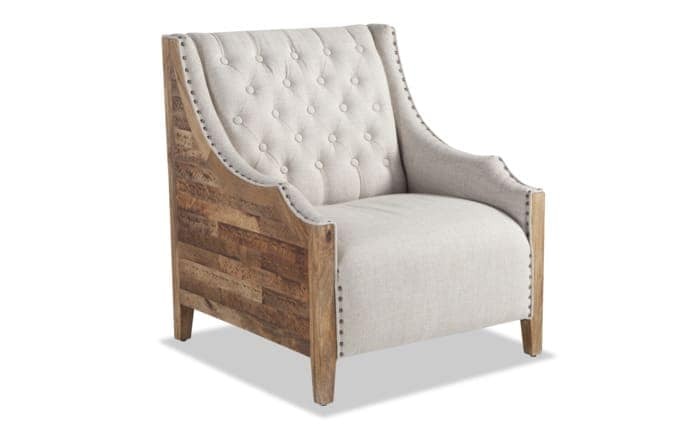 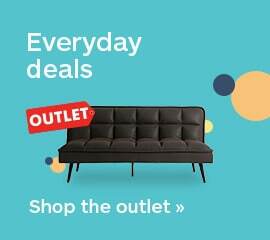 The curved back mimics the design of the curvy gray washed legs. 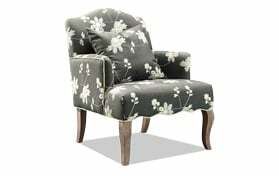 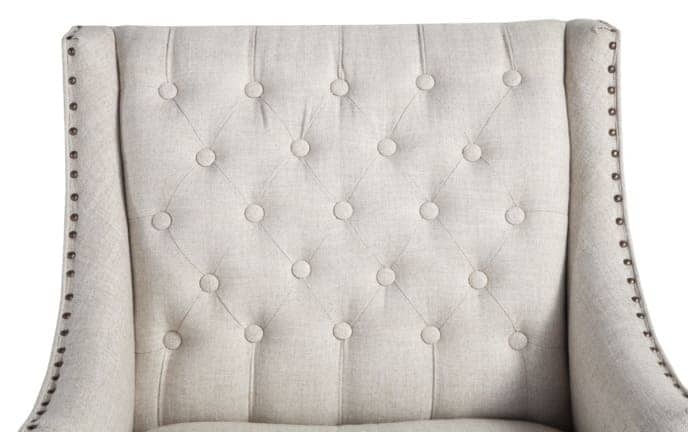 Cream embroidery and piping gracefully accent the gray upholstery with a matching pillow that completes the piece.